Jackson, MI—Bill McCurry’s Marketing Idea Exchange returned to the DIMAcast, the weekly podcast of the Digital Imaging Marketing Association, and his long-running McCurry Marketing Idea Exchange (MMIE) newsletter, which temporarily suspended production last year to accommodate McCurry’s busy travel schedule, is now a twice-a-week section in the PMA Newsline blog. 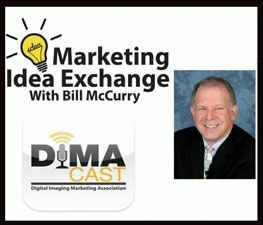 McCurry’s Marketing Idea Exchange podcasts, in which McCurry interviews imaging thought leaders from all over the world to learn about their best and most profitable sales and marketing efforts, broadcast live the first Monday of every month. On the other Mondays throughout each month, the DIMAcast provides interviews on an array of digital imaging and marketing topics from other interviewers. 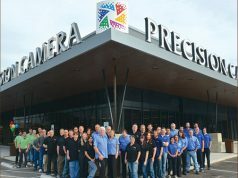 In addition, the McCurry Marketing Idea Exchange newsletter returned, in the form of biweekly posts in PMA Newsline. Just as the newsletter did, the MMIE in PMA Newsline features the best marketing ideas submitted by readers; the “price” of the subscription is two ideas shared per year. New ideas appear in PMA Newsline each week on Tuesdays and Thursdays. Ideas can be sent to editor@mccurryassoc.com.